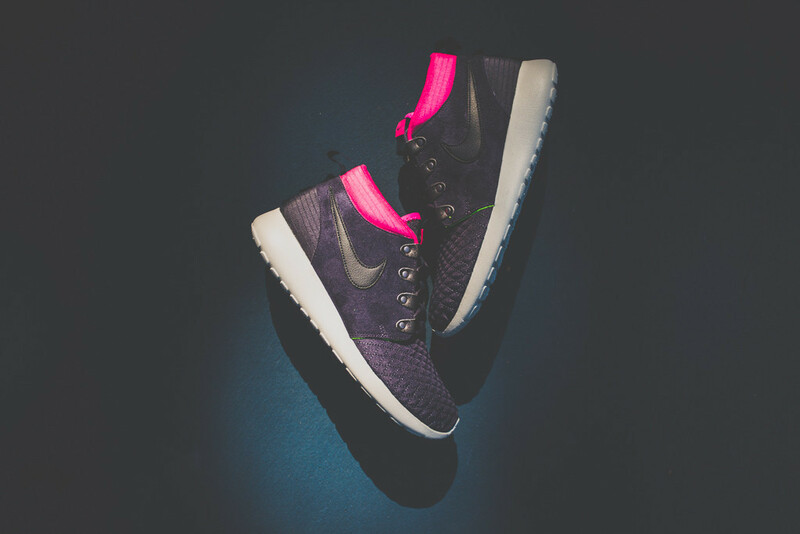 Nike Sportswear displays the perfect color scheme for the ladies over the all new Roshe Run Sneakerboot. The winter-friendly Roshe Run features reiforced metal eyelets, quilted toes and a reinforced ripstop nylon collar. Keeping things simple, we see obsidian covering most of the suede andf quilted upper on these. Adding some color pop, pink hits the ripstop nylon collar. The Obsidian/Pink Nike Roshe Run is now available at select retailers such as Sneaker Politics.